Carmel Montessori School is conveniently located at the NE corner of Meridian (US31) and Main Street in Carmel. Our directress is American Montessori Society certified with 20 years of head-teaching experience, and we are a full member school of the American Montessori Society. We offer a beautiful, peaceful, and positive Montessori learning environment. Extended days available. Francis W. Parker #56 is a public Montessori magnet school which serves families and children of Indianapolis Public Schools from PreK-8th grades. The staff of Francis W. Parker Montessori School 56 believes that we have the responsibility to develop the whole child according to the principles of the Montessori Philosophy: physically, socially, emotionally, and intellectually, within a safe and positive learning environment. We believe that expectations should be high for all students and staff, and that a variety of strategies, experiences, technologies, and assessments are needed to encourage children to develop skills necessary for life-long learning. We believe that it is important to have the involvement and cooperation of parents and community members to help develop attitudes leading to caring and productive citizens in an ever-changing society. Rousseau McClellan Montessori School 91 is a public Montessori magnet option in Indianapolis Public Schools for children in PreK-8th grades. At School #91, our mission is to prepare the whole child as a lifelong learner and problem solver in an ever-changing society by following the Montessori philosophy and method. At the heart of Montessori philosophy is the notion that each child is unique. Montessori challenges not only the intellectual/academic development of the child, but the emotional, moral, spiritual, and physical characteristics as well. 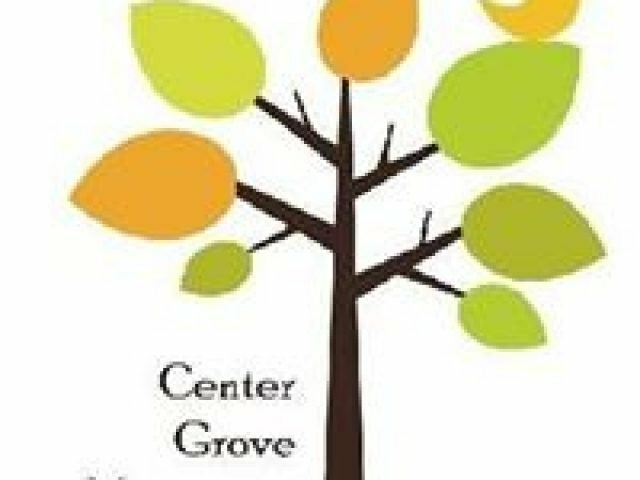 Center Grove Montessori is made up of families who share a common vision that provides an environment that helps our children grow to their full potential, build love and compassion around themselves and others. CGM is a preschool, kindergarten and elementary school for children 2 1/2 year olds (who will turn 3 by December 31st) through 12 years. CMS is Indy’s only AMI accredited Montessori program. Currently enrolling children ages 18 months to 12 years. Offering half-day, full-day and extended day programs. Our directresses allow each child to progress at their own pace. Come tour our new building located just off of US 37 in Fishers. Fall Creek Montessori Academy is a culturally diverse environment where children grow and develop their unique talents and gifts. Through child-centered learning, children excel physically, emotionally, and academically. Conveniently located at Hague Rd. and 88th St., FCMA serves children at all levels, from infancy through kindergarten. Programs are available two to five days per week, with before and after care available. A quality learning environment offering preschool, kindergarten, and elementary. Certifications through American Montessori Society. The mission of Geist Montessori Academy’s Pre-K program is to provide an environment where children can develop to their highest potential academically, emotionally, physically, morally and socially. We offer half day and full day programs for children ages three to five. Our Pre-K directress is AMS certified with nineteen years experience. George Washington Carver Montessori School 87 is a public Montessori magnet option in Indianapolis Public Schools for children in PreK-8th grades. Our school creates an environment that respects the rights and needs of each individual child. We provide exceptional learning experiences that encourage community awareness, problem solving, and stimulate the passion to embrace all of life with respect and love. Contact us for a tour or for more information about our magnet application process. If you are searching for a private school in Indianapolis that values academic excellence, diversity, and safety while fostering an environment of independence, life-skills, and social interaction, your search is over! Our preschool is designed for infants, toddlers, and pre-Kindergarten children to learn, explore and create in a specially prepared and safe Montessori environment. We offer childcare/daycare extended hours before and after school. Our Kindergarten through 6th grade Montessori program focuses on academics while stressing a variety of life-skills in a self-paced environment. Our Montessori students celebrate their diversity and are encouraged to work at their own pace through a flexible Montessori curriculum. Peace and respect for all is our main goal. Montessori Centres has worked with children to develop critical-thinking and time-management skills since 1966. Montessori-certified lead teachers serve children aged 3-3rd grade. Classroom structure and materials allow children to be self-directed and self-paced. Our well-rounded curriculum includes French and Spanish, art, science, computer skills, grace and courtesy, social studies, nature and outdoor gardening. Located on 2 wooded acres in Central Indiana, the Montessori School of Westfield adheres to the academic traditions fo Montessori while serving the present day child. The Montessori School of Westfield serves children from Indianapolis, Fishers, Carmel, Zionsville, Westfield, Sheridan, Noblesville, Cicero and Tipton. We serve children ages 18 months to 15 years. Contact: Mary Lyman, Directress. Montessori School of Westfield, Inc.
Licenses/Awards/Certifications: Licensed, registered with the Indiana Department of AMS Association. Specialties: Music classes and private lessons/language/physical activity program. Description: Located in Broad Ripple area. NMS provides an environment with dedicated teachers to meet each child’s curiosities and natural love of learning. Call for an appointment to visit us to fully appreciate Montessori in action!